Eastatoe Creek Heritage Preserve is located in the northwestern part of South Carolina, between Table Rock and Lake Jocassee. It is located off US 178, about 18 miles northwest of Pickens. 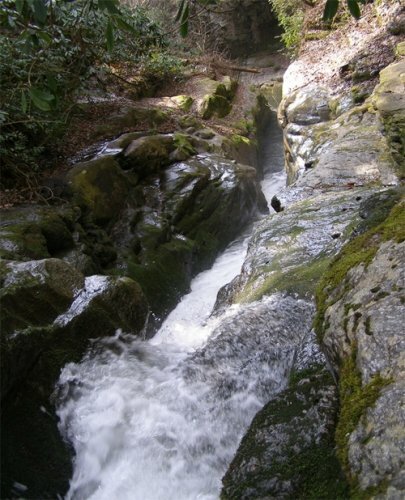 This picture of a raging waterfall was taken in the Narrows area of Eastatoe Creek in March 2007 by Deborah Davis, who lives in Oconee County. Look at this Linny!!!!!! We made SCIway!!!!!! !